FB Status: I had a great time in Basilan.. Super thank you to my host, Ludwig and his family.. and to Dong Ho for all the help.. 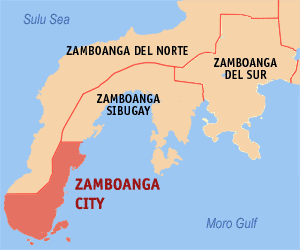 I just got back in Zamboanga City.. I went back to my hostel to freshen up. 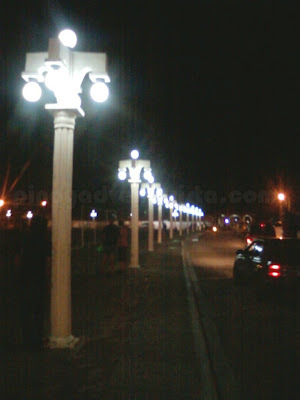 Then proceeded to Paseo del Mar to see things around. 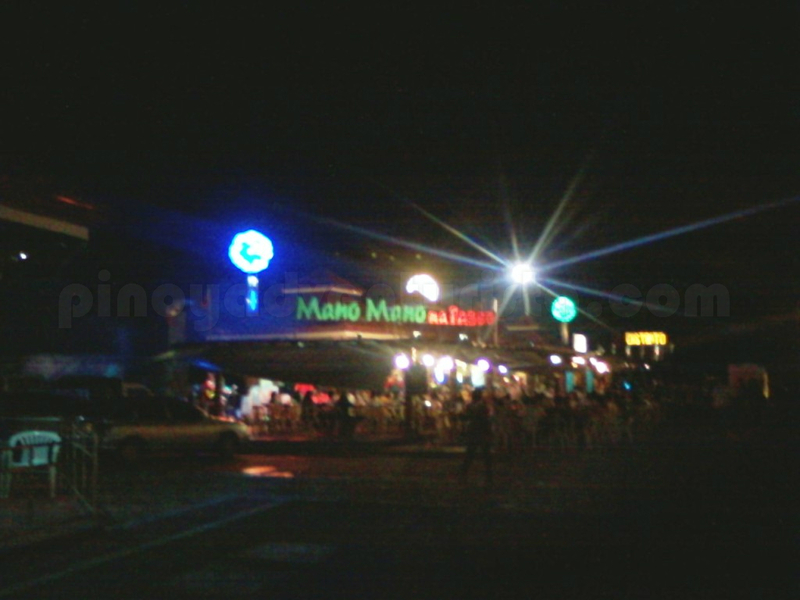 I took a jeepney bound for Canelar and walked towards Valderosa St. where Paseo del Mar is located. Facing the scenic Basilan strait, Paseo del Mar is a seafront park located near Fort Pilar. 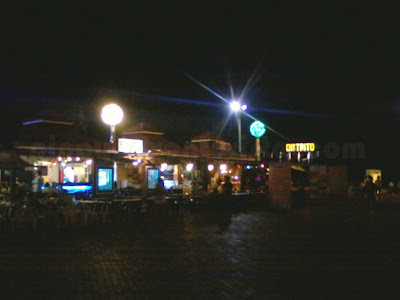 If you are a morning person, you could enjoy here the fresh air while jogging or simply having a leisurely walk around. At late afternoon, you could witness a very nice view of the sunset as well as the city's busy port. Until it comes more alive at night with live bands, food stalls and colorful decorative lamps lighting up the park. A perfect place for families and friends to hang out. It’s a Saturday night and a lot of people were there to hang out. As I am already hungry, I checked on some restaurants to have something that I don’t normally eat in Manila. My choice? 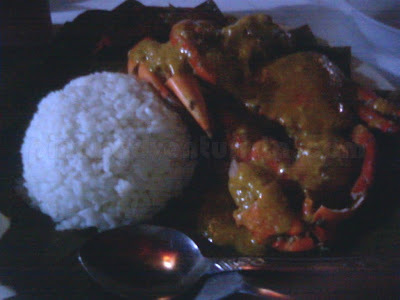 Alavar Restaurant’s crab dish. Alavar's Restaurant is known for their seafood dishes with their famous alavar sauce. I've been hearing about it for quite some time, so I didn't think twice and ordered a medium sized crab with alavar sauce, a cup of rice and an iced tea. Served on a banana leaf, I heartily munch on it. It’s delicious, but unfortunately, it fell short of my expectations. There's nothing special with the sauce. It just tastes an ordinary "crab with curry" that you can order at any restaurant. Or did I just expected too much? The following morning, I specifically looked for Jimmy's Satti House to give their famous Satti a try. Located in Pilar St., I took a tricycle and asked the driver to bring me to this satti house well-known to serve the best Satti in Zamboanga City. Satti is a breakfast dish of marinated, skewered and grilled meats, served with “puso” (rice wrapped in coconut leaves) then topped with curry-like sauce. Good thing I tried this one, as I wasn’t disappointed. It's really one of a kind. I suddenly fell in love with it. This is a must-try when visiting Zamboanga City. I wanted to try the Curacha, but unfortunately I can't find a restaurant that serves it aside from Alavar Restaurant. I just decided to give it a try on my next visit. na-miss ko tuloy yung satti! parang malabo yung shots mo mervs? @journeyingjames - sarap talaga ng satti! san kaya d2 sa Manila meron? i want to try that satti!!!! meron na palang mga resto sa paseo del mar? about the alavar, maybe you should have tried it in their main resto. Okay naman ang crabs and seafoods nila dun, though I am not a crab fan though. may satti dun sa SM Fairview..
Hello! May provincial buses po ba from manila to zamboanga (single trip)?? i've never tried that satti dish...looks delicious though and I'll take your word for it.